FDT2BEL 022939 red electric line 2 in. FDT2BFOL 023080 orange fiber optic line 2 in. FDT2BGL 022991 yellow gas line 2 in. FDT2BSL 023110 green sewer line 2 in. FDT2BWL 023059 blue water line 2 in. FDT3BEL 022946 red electric line 3 in. FDT3BFOL 023080 orange fiber optic line 3 in. FDT3BGL 023004 yellow gas line 3 in. 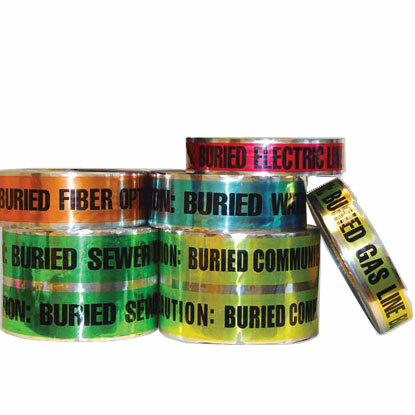 FDT3BSL 023127 green sewer line 3 in. FDT3BWL 023066 blue water line 3 in. FDT6BEL 022953 red electric line 6 in. WARNING: Cancer & Reproductive harm – www.P65Warnings.ca.gov.